October 17-21 PTA Scholastic Book Fair- Pirate Theme! We've had another great week at Davis Elementary. The kids have settled in pretty well, and they are becoming more comfortable in their new classrooms and with their new teachers. Thank you for the sweet emails and face to face comments about how your children love their teachers. It makes my heart so warm to hear that you are able to see the teachers through your children's eyes. As I mentioned at the Back to School Parent Meetings, our teachers are spending a lot of time this year learning about Social Emotional Learning. Each day, your child's class spends a few minutes in a class meeting discussing their feelings and what's important as we grow up together. I was talking with one of the teachers this afternoon, and we started talking about how sometimes the kids seem to have apps running in the background when they come to school. You know how your smartphone can have apps open and running in the background? An app you don't close completely after using it? And you know what happens when you don't close those apps? Right, It DRAINS your battery. Sometimes when our kids come to school, they still have an open app running in the background. A fight with a brother or sister, a sad memory of a lost loved one, a struggle with homework. Our class meetings are designed to help kids learn how to resolve and close those apps so they don't drain their batteries. As a parent and an educator, I love that the teachers have embraced these ideas and are dedicating their time to helping the kids understand how to express and manage their emotions, set goals, and build relationships. We've already had some amazing moments as the kids have discovered new friendships through their class meetings. I hope they will share these with you at home. Just a few communication reminders. This newsletter will be sent weekly via email to all parents with an email address listed on the child's contact information, which can be updated at parentviewer.pisd.edu . We will also send the link to this newsletter to the Davis_Dolphins Facebook page and through the Remind text message service. To receive text messages from Davis Elementary, please text @4hhkb to 81010. Text messaging charges and fees may apply. As always, the front office staff- Mrs. Bowen, Mrs. Perez, and Nurse Montgomery are ready to assist with any needs you have. Also, our assistant principal Mr. Gibson, as well as our counselor Mrs. York and are available as well. I, too, am more than happy to visit with you to assist with any celebrations or needs that may arise for your family. Interested in Volunteering at Davis Elementary? · Volunteers are needed for field trips, Field Day, class parties, library assistance, and other areas. Are you interested in being a Key Communicator for Davis Elementary? Each year, Plano ISD forms a Key Communicators Group of parents from all district schools. What Do Key Communicators Do? Attend three evening meetings with the superintendent or other key staff to learn about programs, issues, initiatives and accomplishments. This year’s dates are: Tuesday, October 11; Thursday, February 2; and the final date is Tuesday, April 11. Share information from the meetings with other parents and school staff. Communicate district news and initiatives, which will vary from year to year, but could involve election information, Education Foundation programs, legislative issues and district planning. Receive occasional mailings from the district. Facilitate balanced and factual communications. Principals should appoint parents to serve in this position who are open, positive and committed to sharing information with others by using a factual, fair and balanced approach. PACE provides services for student who require academically gifted enrichment services and have demonstrated a need for advanced, differentiated instruction. If you have a child you feel is in need of possible gifted services, please notify your child’s teacher or Mrs. Seymour, Davis’ Gifted Specialist. Students new to Plano since January, 2016, may either test in the fall or spring, but not both. Fall referral packets for new students, excluding kindergarteners, are due September 2, 2016. Students may only test once a year. All other students in grades K-5 in need of assessment must have their referral packets turned in by December 7, 2016. Davis Elementary PTA Store is now open ONLINE! 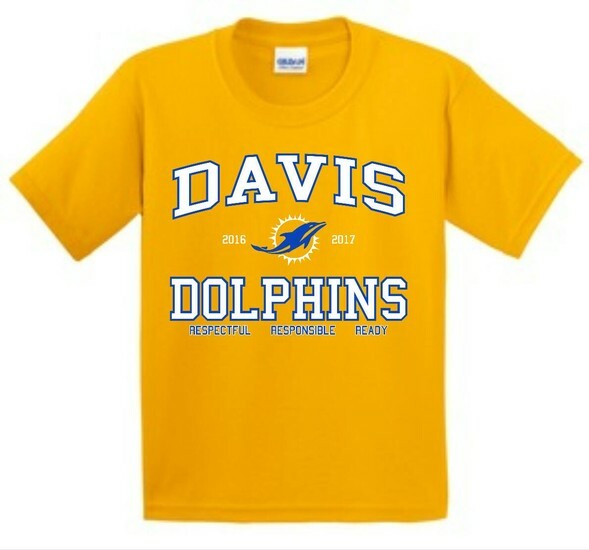 2016 -2017 Spirit Wear & PTA Memberships are now available for purchasing online https://squareup.com/store/davis-pta ! This is our current inventory of shirts, so only the sizes listed on the site are available. Once the order is placed, your child will receive the shirt(s) at school within a few days. Please be sure to include your child’s name/grade/teacher in the notes section of the check-out page. At Davis Elementary, parents are welcome to walk their child to class in the morning. Parents will check in at the front office and have their driver's license scanned to receive a visitor badge. All visitors wear a recognizable visitor badge to aid in keeping our children safe. School begins at 7:45 a.m. Supervision begins at 7:00 in the cafeteria and gym for children who need to arrive early, and students can walk to their classroom at 7:30. Breakfast is available from 7:15-7:40 in the cafeteria. Our school day ends at 2:45. Please make sure you've communicated with your child's teacher about how he or she is getting home in the afternoons. Would you like a text alert when the Smore communication is updated? Sign up for text messages from the Davis front office by texting the phrase @4hhkb to 81010 and you will added to the "Remind" system for text messages from Davis Elementary School. If you have previously signed up by your own independent search, you will need to sign up using the code above. As many of you know, we have a MakerSpace called the "Creation Station" in our Davis Library. Our PTA has GENEROUSLY funded us to get started, and our teachers and parents have formed a committee to get started. Here's a brief video about a makerspace in an elementary school in Alabama. https://www.youtube.com/watch?v=4D6WtQYoJ_s Keep checking back for more updates as our Creation Station grows. Plano ISD has implemented InfoCenter, allowing you to better control how you receive communications from your school or district. The following is a guide to help you get started. What is InfoCenter? : InfoCenter provides access to all the messages and information sent by your organization. Accessible from any internet-enabled device, InfoCenter visually displays and organizes alerts, notifications, and attachments for easy review and reference. InfoCenter also allows you to customize how you receive communications from PISD (campus and district). 2. Click the “New User” button, enter your email address, and create a password. An email will be sent to that address with a secure token. Note: If you receive an “already claimed by another user account” error message that means you’ve already created a SchoolMessenger account via another SchoolMessenger product, such as Contact Manager. Simply follow the “Return to login” link and login. Use the “Forgot your password” link if needed. 3. After authenticating via the token sent to your email, return to InfoCenter and sign in using your email and password. ​View the records associated with your account. ​Review the last 30 days worth of messages for all your associated records. ​View your contact information, and configure how you’d like to receive notifications. ​Regardless of how you choose to receive notifications, all messages associated with your records will be retained in the InfoCenter inbox for 30 days. You can opt into receiving Device Notifications (Push) under Notification Preferences. When choosing to receive Device Notifications, a badge or alert will appear when you receive new communications from Plano ISD. Then help us out! Join the Davis PTA! Each year, the Davis PTA provide fun assemblies, parties, picnics, and carnivals for our community. Parents are the first letter in PTA, and they can't do it without YOU! Please check out their website at www.davispta.net for more information! Davis Dolphins use Social Media!